You know, there's a song called 'All Fired Up' by a band called 'The Saturdays' (video here). Weird coincidence, I must say. Today is Saturday, if you read this another day & wonder what I mean. 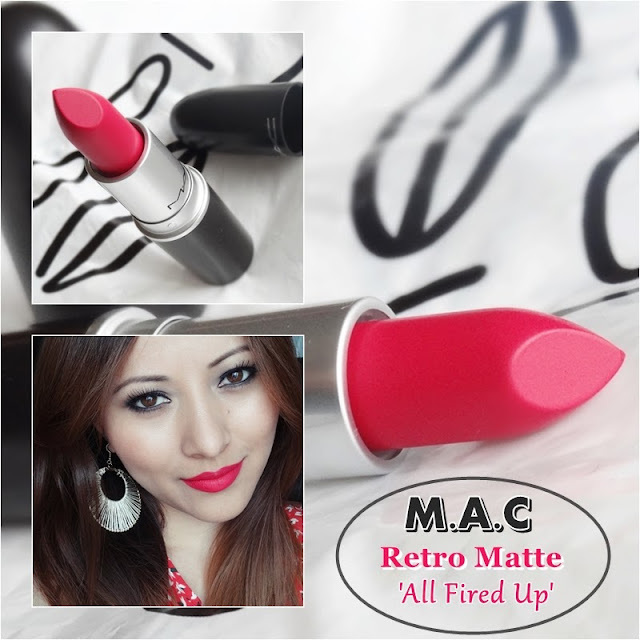 MAC All Fired Up is another shade from Retro Matte Collection. It's described as Bright Fuschia Matte. Do you think it looks fuschia? The color may look like a warmer red in photos, but it is actually a pink-toned red. In my eyes, it looks better off-camera. I find that it has a slightly creamier texture than the other Retro Matte lipsticks, but it could just be because she's yet to catch up to her friends in Mount Very Matte. Since the finish is so matte, it stays on for hours and hours- most times, until you wipe it off - and leaves a strawberry pink stain when it wears off. 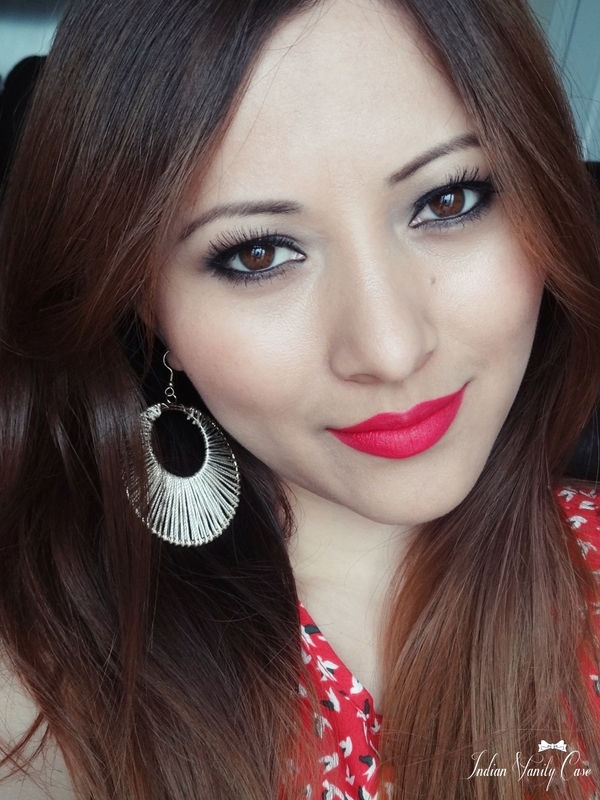 It can be worn sheer or opaque, and it's a really good alternative to more mature reds, like MAC Ruby Woo & Riri Woo. It's different from all the other similar shades of MAC lippies I have. Redder/deeper than Impassioned & Party Parrot. It is almost the same shade as Deborah Milano Red #9, but of course the finishes are totally different, North-South different. 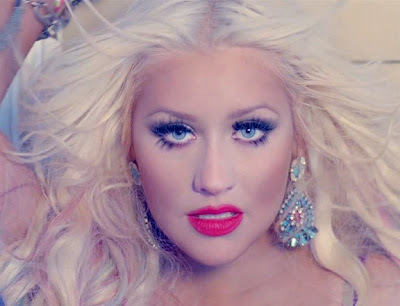 I realized this shade is almost like the pinkish-red Christina Aguilera was wearing in her music video- Your Body. 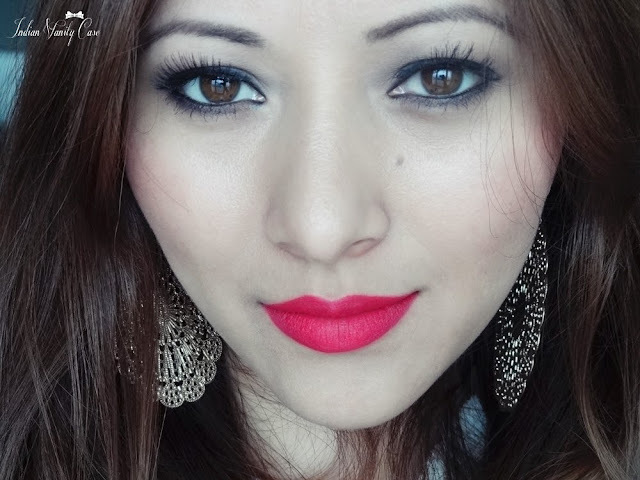 I was eyeing her lipstick when I watched the video the first time, and thought what an unusual red it was. It's different from the usual classic reds she always wore. Price ~ £15 | Rs.1506. Probably Rs.990 in India. What's getting you all fired up today? Me, it's 5 big packets of frozen momos that were finally available today after being out of stock for weeks. Oh, and something I got from Accessorize, something I've never bought before. You'll see. Set your weekend on fire! ....nah.... Fire up your weekend! ....nah.....Stir some fire....ahh, forget it. The shade is really pretty but I think it is a misnomer. what a unique red. But I like it more in the photos where it looks warmer than its true colo...weird. But its still nice and you look lovely as always. Love it on you! It looks more hydrating compared to the pink matte shade from them! I do like an off red lipcolor, it softens the intensity just a bit! this is just brilliant!!!! it's like the Ruby woo of all pinks. Gorgeous shade! Just love it on your lips! NICE! :) I wish I could make them myself too, but they always come out too thick! Oh CZ, I've never said it before. You are so beautiful! Inside and out. And that shade is delicious! Lovely post. This is definately on my buy list!!! Loved that lip swatch....killer shade! You make me want to try out these retro matte lipsticks - specifically in this color and Flat Out Fabulous - soo badly, even though I usually use glossier lipsticks since I hate the feeling of dryness (especially now since my entire face has been excessively dry with allergies). I wish super matte didn't mean super drying. T_T The colors are beautiful, and the finish is part of the reason why. The shade is totally fab! I have it and easily the best I own! Its so pretty.. love the depth it has.